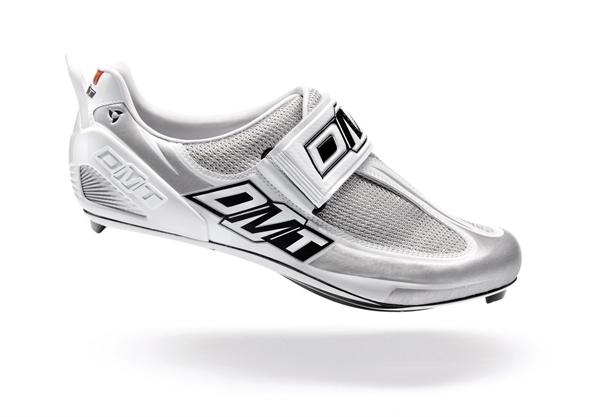 Product information "DMT Dmt Tri Triathlon shoe white / silver"
Diamant, always careful to the requests of the market, has developed a specific model for Triathlon discipline. This competition requires a model of shoes that must be put on quickly and that, at the same time, grant a sure closure, a very transpiring upper and a rigid sole. All this has only a name: DMT TRI. Related links to "DMT Dmt Tri Triathlon shoe white / silver"
Customer evaluation for "DMT Dmt Tri Triathlon shoe white / silver"